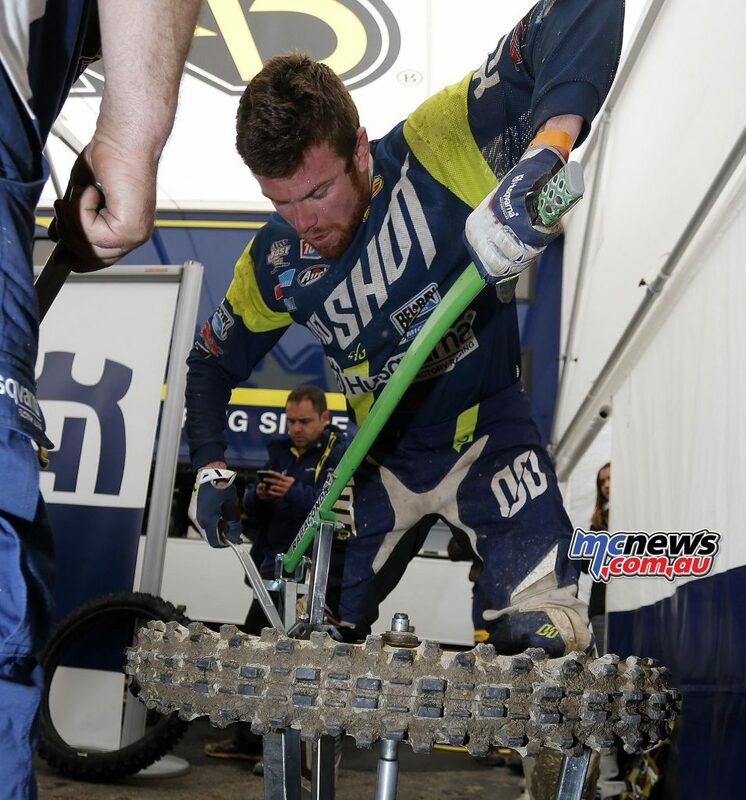 Townley To Miss the Rest of MXGP Rounds – Retirement To Be Announced? 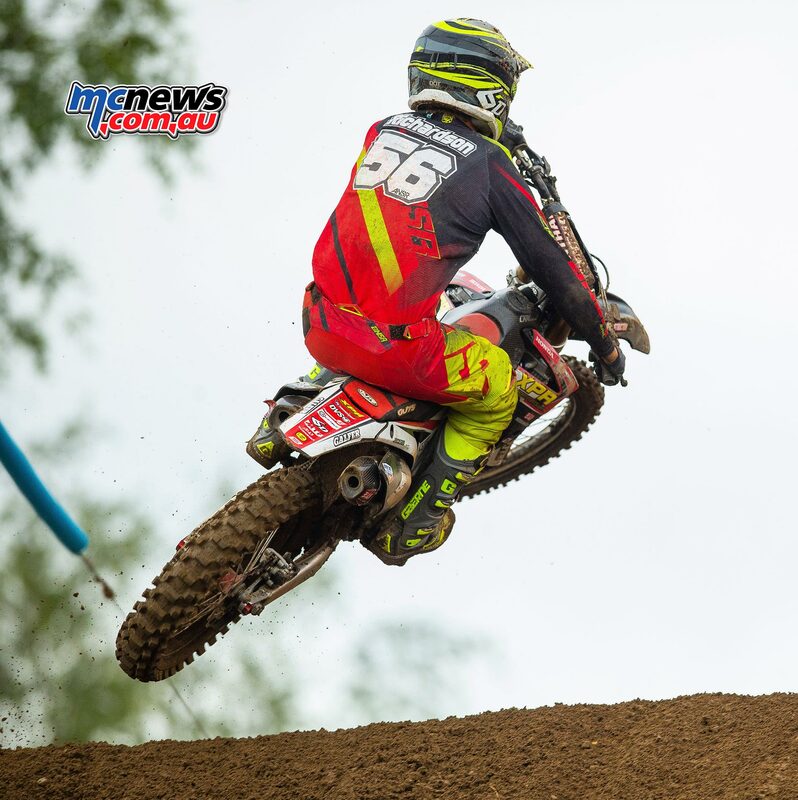 Entries for the 2016 Post Classic Motocross Championships to be held at Harrisville (West of Brisbane) over the weekend of the 23rd and 24th of July close this Friday, and with almost 20 championships up for grabs in the Pre 1990, Pre 1985, Evolution and Sidecar classes there is something in there for almost anyone out there with old rig in the garage and you can bet that the action over the weekend will be nothing short of sensational. I can tell you from personal experience that the track at Harrisville is a dead-set cracker, so if you enter and the event doesn’t meet your expectations you can finish the weekend in my VIP pit area (next to the toilets), telling Calvin Brewster, Barry Olsen, Tony Garry and I what went wrong…..my advice to come along, enjoy the racing and get the hell out of there after you get your trophy….much safer! 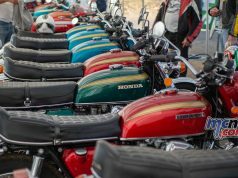 Go to the Brisbane Motorcycle Club’s web site for entry forms and/or more information – get your arse along to this event and join in the fun. 13 time national champion Craig Anderson who came out of retirement with the help of Honda and scored 10-9 moto finishes for ninth outright on the day at the Nowra round of the MX Nationals which is nothing short of amazing for a rider who won his last national championship a decade ago and won his last national round in 2008. 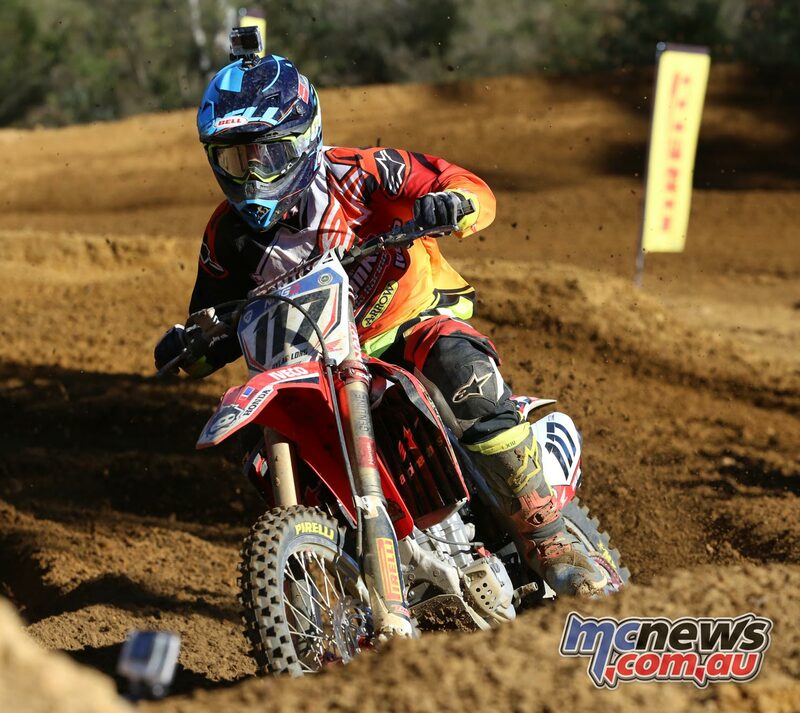 Wade Kirkland has gone 3-1 to win the MXD class at the Nowra round of the MX Nationals and is now just 18 points off championship leader Connor Tierney who posted 4-3 results over the weekend. 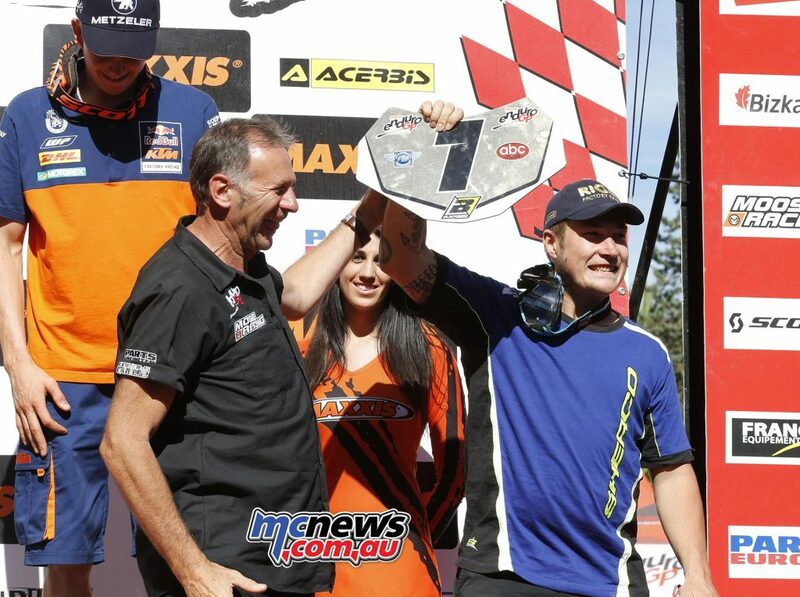 Wade Kirkland – Raceline Pirelli KTM Motocross Racing Team development rider Wade Kirkland broke through for his first ever win in the Under 19’s championship with 3-1 scores aboard his KTM 250 SX-F.
Nowra hosted a round of the Australian Amateur Cup Championship and it was KTM riders Brad Polsoni, Kerrod Morrissy and William Angel who swept the podium with Polsoni and Morrissy now leading the championship from Joel Newton. 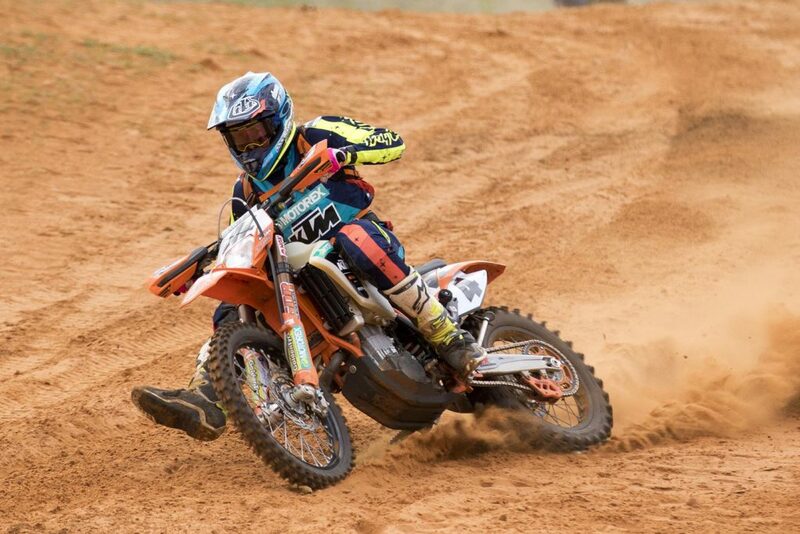 KTM Australian Amateur Cup-Nowra-Podium – With Polsoni undefeated for the second time this year, once gain the KTM rider took the KTM Australian Amateur Cup round honours at Nowra. Second spot on the podium was Morrissy, while third place was snatched up by William Angel who’s consistent 3rd and 7th place finishes paid off. 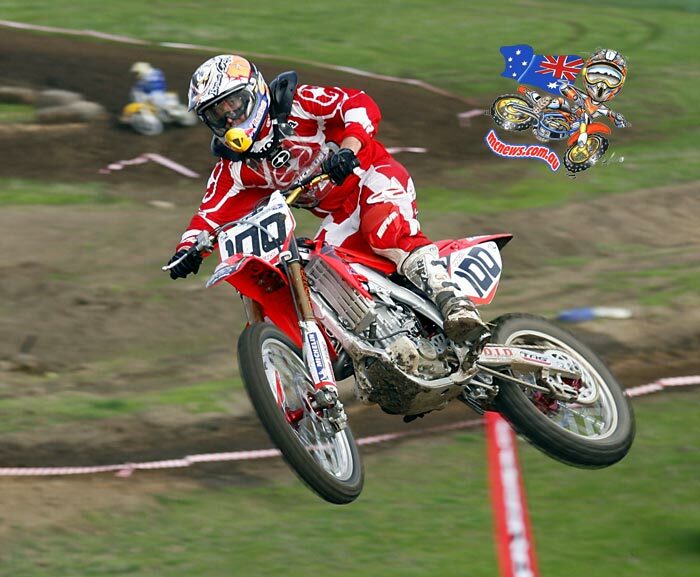 Moto Expo Melbourne returns on November 25 to 27, 2016 with promoter Troy Bayliss Events announcing that for three full days the Melbourne Showgrounds will become the epicentre of the Australian motorcycle industry and a must-visit destination for Australasian motorcycle enthusiasts. Round three of the WAMX Junior State Motocross Championships was held at Coastal Park last weekend and despite the rain and cold conditions the racing was red-hot in the 50cc Auto with Kayden Minear putting together three moto wins to secure not just the overall round win but he now jumps to the top of the series standings for the first time this season and it was Minear again in the 65cc 7-10 Years class to win the day and continue to lead the series. 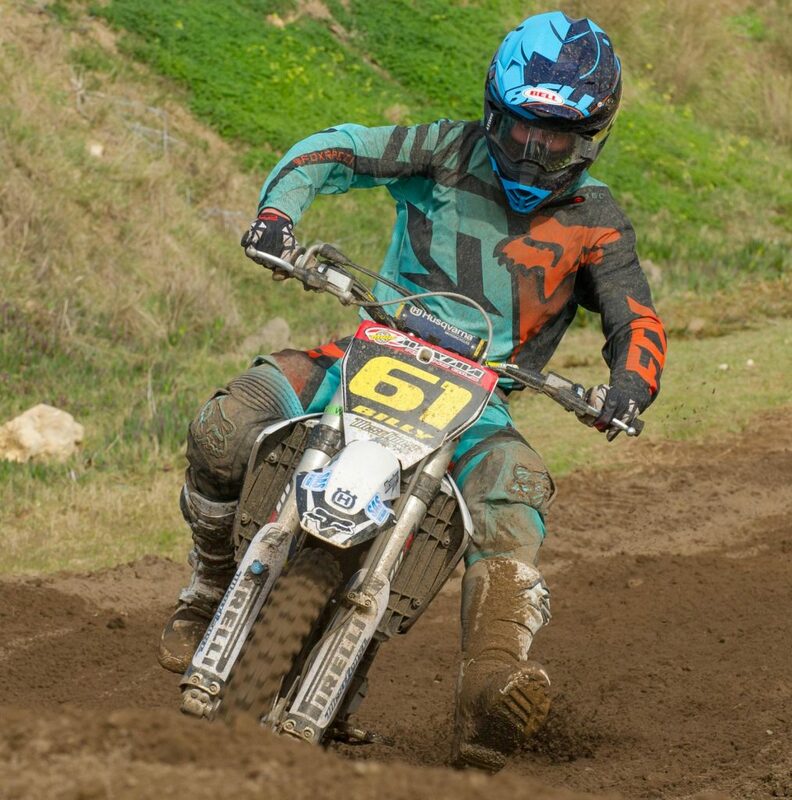 Myles Gilmore took two wins and a second place to sneak ahead of Liam Atkinson in the 65cc 10-12 Years championship but Atkinson managed to reverse the standings in the 85/150cc 9-12 Years class to move within 15 points of Gilmore’s championship lead while Tahlia O’Hare won the Girls 85cc/150cc BW/100-125cc 2st/200-250cc 4st class. Corben Weinert took one point out of Brady Gilmore’s points lead with a win in the 85/150cc 12-16 Years class so there is now just three points separating the rivals and Corben Weinert did much the same in the 100cc-125cc 13-15 Years class taking the win over Regan Duffy and Gilmore and extending his points lead to five in the 100cc-125cc 15 Years. Mitch Outram continues to hold the red plate after the round win (1-1- 2) in the 100cc-125cc 15 Years class and holds a 20 point lead from Billy Middleton (2-2- 1) who finished second for the day with Kurt Oinn securing third but Middleton bounced back to dominate the 128cc-150cc/250cc 13-16 Years class to move within three point of championship leader Mat Fabry. Round four of the Make Smoking History WAMX Junior State Championships heads to the Perth Hills of Chidlow, on Sunday July 31st at WAJMCC. 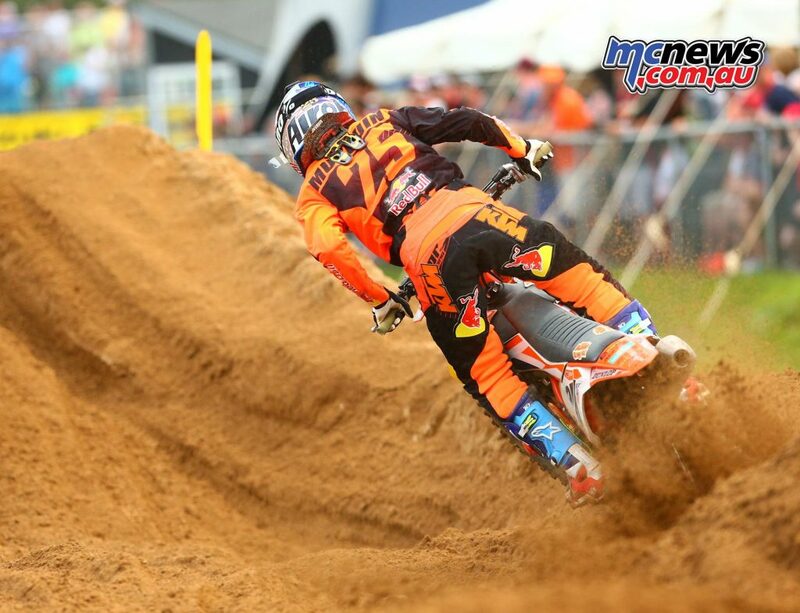 Luke Clout and Jackson Richardson were in action at round six of the AMA Motocross Championship at the famous Red Bud and after qualifying 23rd and 25th respectively, the Aussie duo battled back from a poor start in moto one, and Richardson managed a respectable 25th with Clout two positions back in 27th. 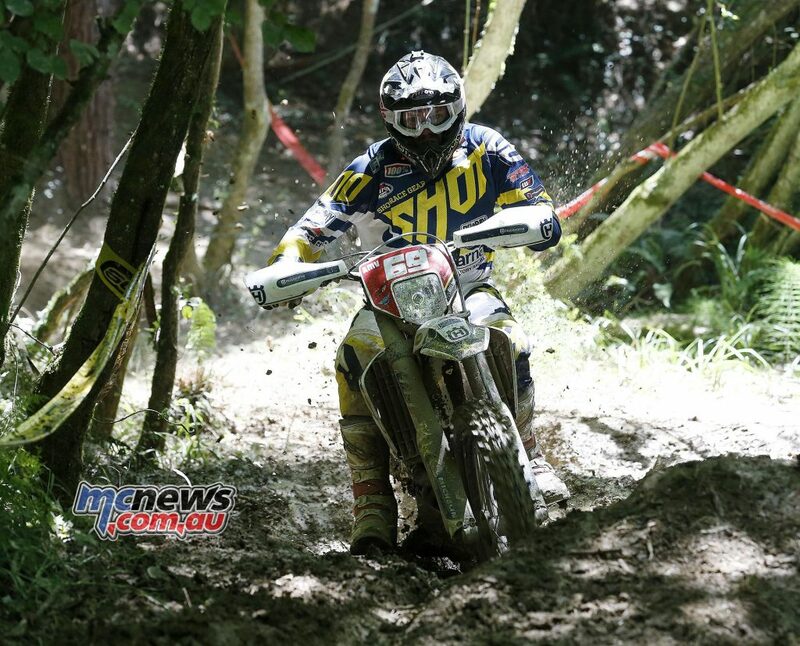 Moto two saw both Aussies battling tooth-and-nail to get inside the top 20 and that is exactly what they did, with Clout coming home in 17th position for 19th outright on the day, while Richardson finished one position back in 18th, for 22nd outright. Richardson now sits 26th in the championship while Clout sit two positions further back in 28th but you can expect the two Aussies to climb up the leader board if they can keep riding like they did in the second moto. 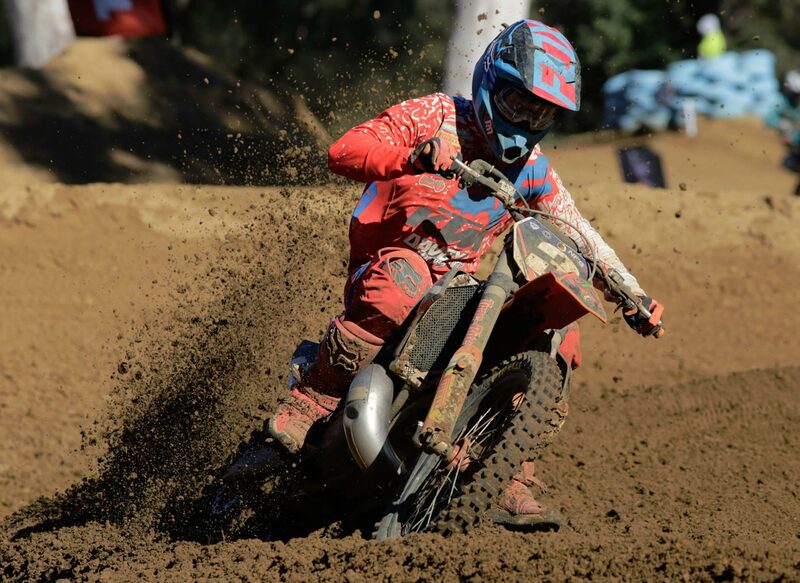 Hot on the heels of injuries to Ryan Dungey, Trey Canard, Jason Anderson and Josh Grant, another top-ten 450 punter in Cole Seely will miss a yet to be determined amount of racing after breaking his pinkie finger while practicing last week. Seely was laying his CRF450R so far over in a rutted corner that his little finger hit a rock on the inside of the track and the injury was enough to require surgery. KTM have announced that Kailub Russell has signed a four-year contract extension with the factory FMF/KTM off-road team and the contract includes an option for four additional years beyond that if Russell, now 26, wants to keep racing. That’s potentially an eight-year extension for Russell, designed to keep him on the brand until his racing days are over. 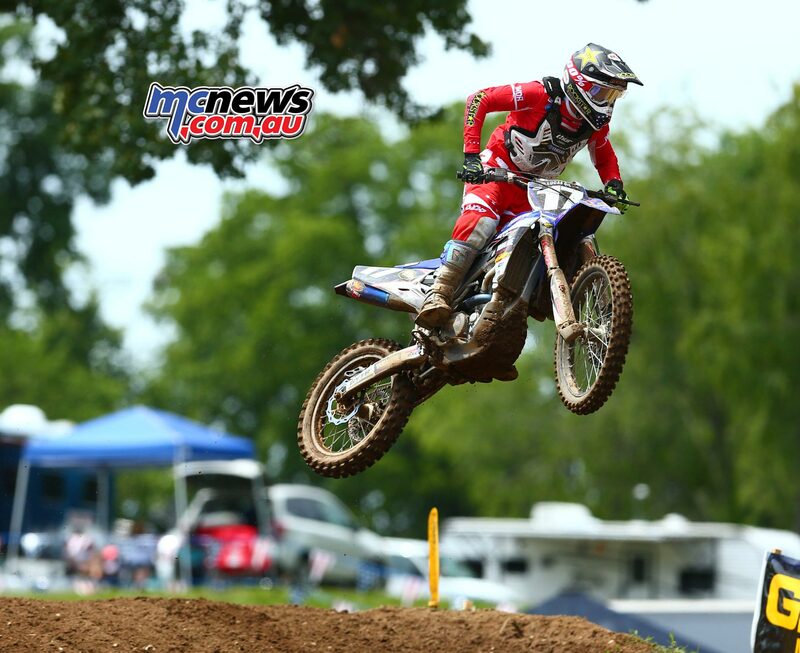 Russell races a 350XC-F in the GNCC series and after nine rounds he holds a 15-point lead over Aussie hard charger Josh Strang. Russell and Strang will continue their battle for GNCC supremacy on September 11 when Unadilla in New Berlin, New York host the next round of the series. 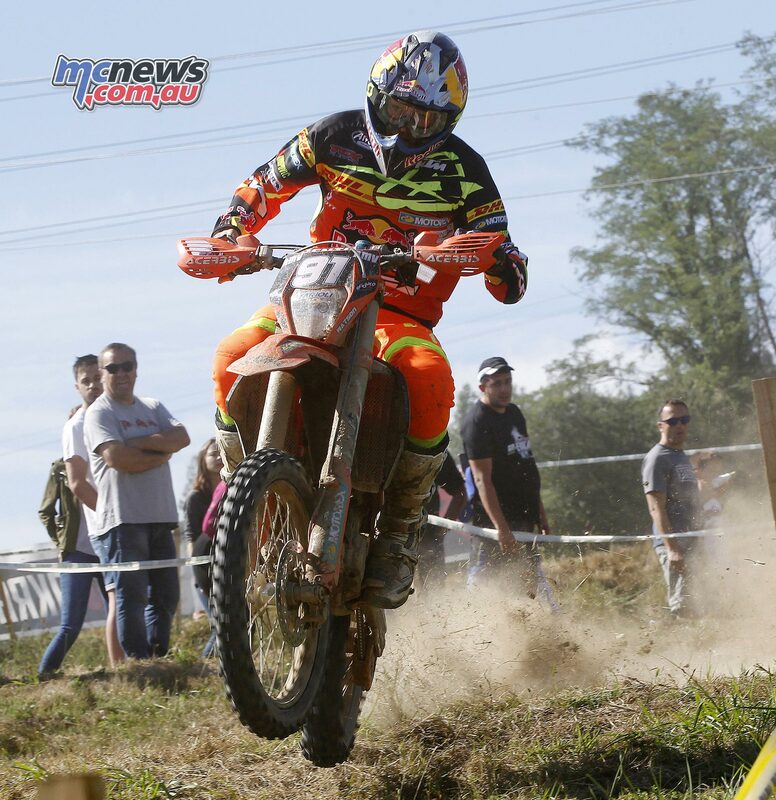 Despite a disappointing seventh at round nine of the GNCC series held in West Virginia, Aussie star Josh Strang sits second in the series just 15 points back from championship leader Kailub Russell as the competitors enjoy the six week break from the 13 round series. 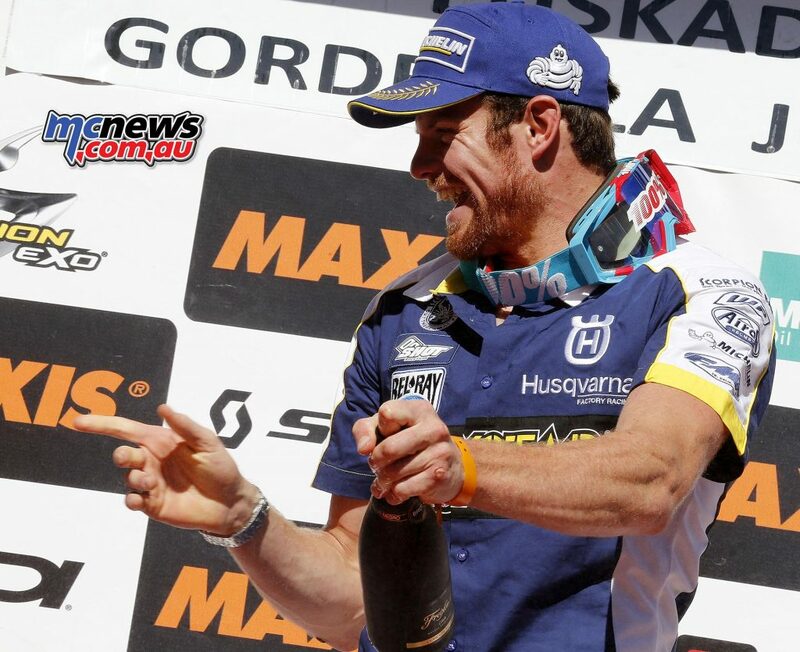 Strang won rounds one, two and eight and finished second at rounds three, six and seven but his tenth at round five and now the seventh at round nine has cost the Husqvarna pilot the championship lead but with four rounds remaining in the series Strang is far from out of the title chase after winning three of the last four rounds in 2015. 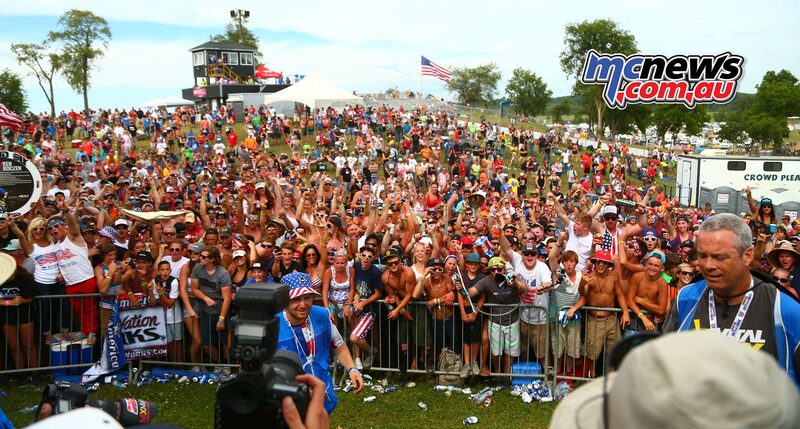 The series continues on September 10 and 11, with the Parts Unlimited Unadilla GNCC at the iconic Unadilla MX facility in New Berlin, New York. Overall National Championship Standings: 1. Kailub Russell (226). 2. 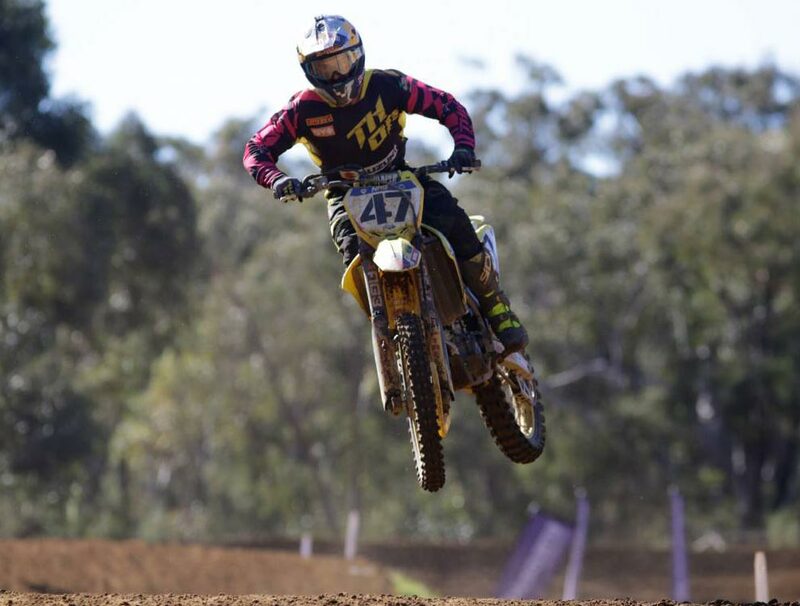 Josh Strang (211). 3. Trevor Bollinger (132). 4. Jordan Ashburn (123). 5. Craig Delong (109). Bugga!! Ben Townley has hit the deck again and was taken to hospital with internal injuries while practicing at Mantova last week and will be out of action for the last six rounds of the Motocross World Championships while talk of his retirement from MXGP in the future has yet to be confirmed. With Kevin Strijbos convalescing from a wrist injury the team is currently searching for a replacement for Townley that can join then Belgian in the gate for the Grand Prix of the Czech Republic towards the end of July and then also for rounds in Belgium, Switzerland, Holland and the USA. 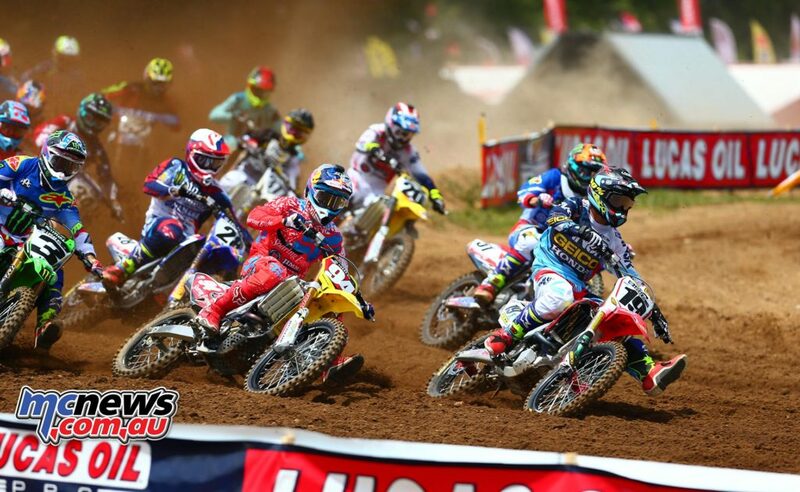 The Motocross of European Nations and the Women’s Motocross of European Nations scheduled for later in the year will not go ahead due to logistical reasons (and a lack of interest) and it is unlikely to have this event on the calendar for 2017. 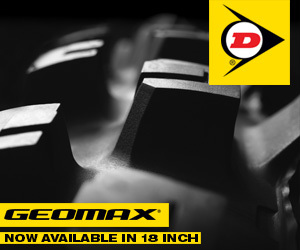 Off Road Pro-Racing has announced that the European Supercross Championship will be a one-event championship this year and will be held on Saturday 22nd October 2016, at Arnham, in the Netherlands. All other dates and venues are cancelled. From 2017 the EMX300 2 Stroke Championship will not be combined with the MXGP/MX2 rounds and could be relegated to compete at EMX 65/85 zone rounds or with EMX Quad events or combined with national championships. 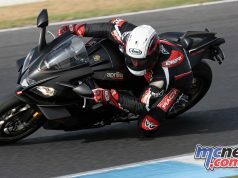 This definitely a big step back for the Euro 300cc championship and the riders wishing to compete in the series. 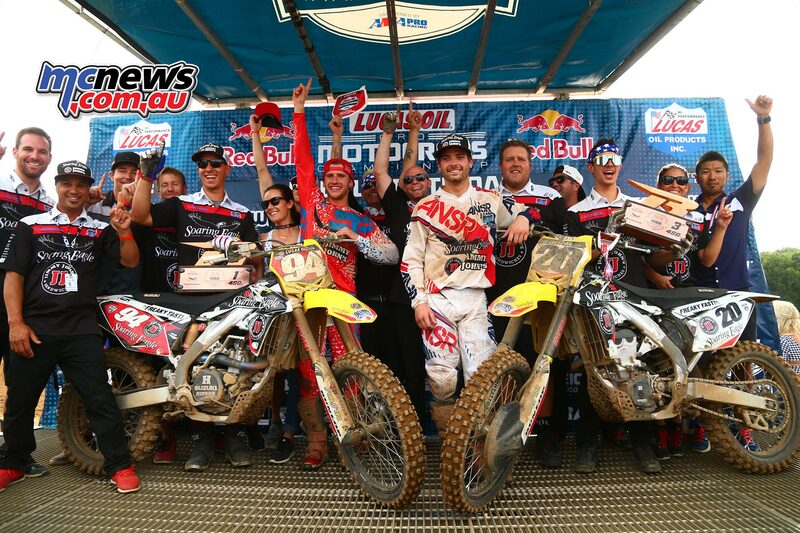 The Lucas Oil Pro Motocross Championship reached the halfway point of the 2016 season while celebrating Independence Day with the annual tradition that is the RedBud National and it was more of the same from Ken Roczen in the 450 Class, sweeping the motos yet again for his fifth overall victory in six rounds while in the 250 Class Cooper Webb earned his second straight overall win by winning both motos and thanks to former championship leader Joey Savatgy’s poor showing Webb now lead the series. Ken Roczen is so much faster than everyone else in the field it really doesn’t matter what sort of start he gets and in both motos Roczen was in the lead after just a handful of corners and won each moto well out of sight of his closest rival Eli Tomac who likewise had a huge gap back to third place in both motos. 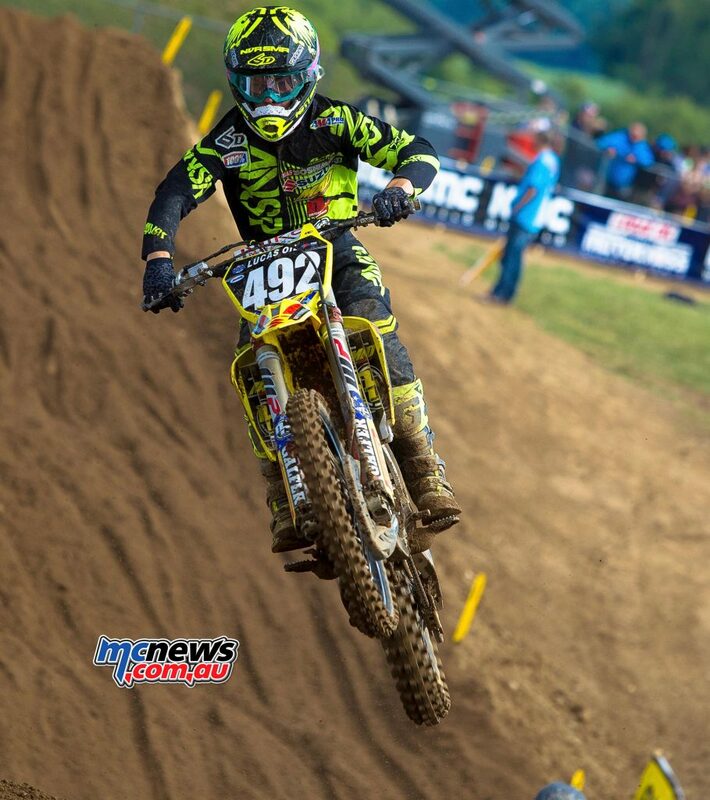 Broc Tickle (4-3) backed up his first podium since 2012 one week ago with another top-three effort at his home race. 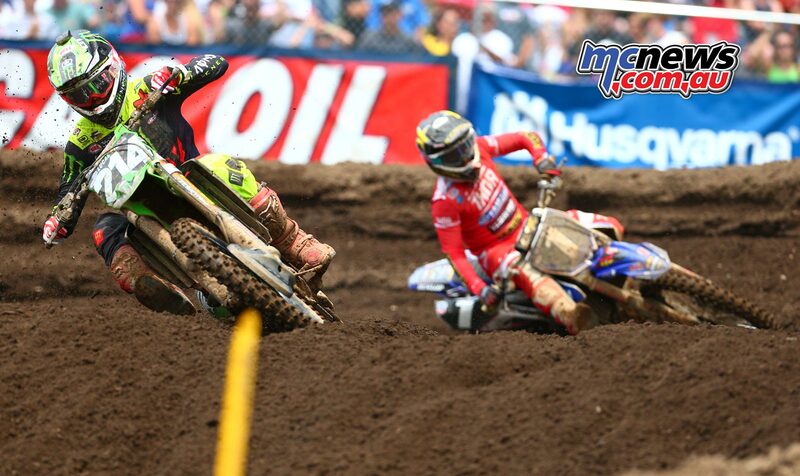 Justin Barcia is showing glimpses of his old self with 3-4 finishes for fourth overall while Marvin Musquin, Blake Baggett, Christophe Pourcel, Matt Bisceglia, Justin Bogle and Benny Bloss rounded out the top ten overall. Roczen’s 11th career victory extends his lead in the 450 Class standings to 53 points over Tomac, more than two full motos worth. 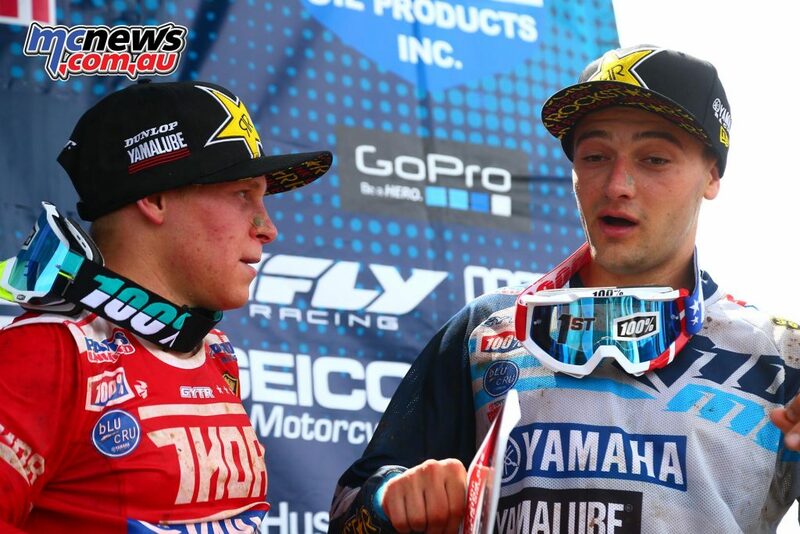 Musquin, who finished fifth overall (5-6), moved to third in points and sits 126 points out of the lead. This class is riddled with talent, raw speed and straight out aggression but all of that means little to Cooper Webb who whittled his way through the opening rounds with an injured wrist but it looks like the Yamaha star is gaining confidence after holding Savatgy at bay in moto one and passing teammate Alex Martin late in moto two for earn maximum points. Shane McElrath (9-5), Adam Cianciarulo (7-8), Joey Savatgy (2-16), Austin Forkner (6-10), Arnaud Tonus (11-6) and Mitchell Oldenburg (8-9) rounded out the top ten with the main story in there being Savatgy who finished a strong second in the opening moto but moto two turned to poo with a small crash followed by a HUGE crash putting the Kawasaki back enough in the field to lose the red plate heading to Southwick next weekend. In perfect conditions and on what was by far the best prepared track for the season so far Dean Ferris and Caleb Ward have won the MX1 and MX2 classes respectively at round six of the Motul MX Nationals at the Nowra Motoplex in New South Wales last weekend. 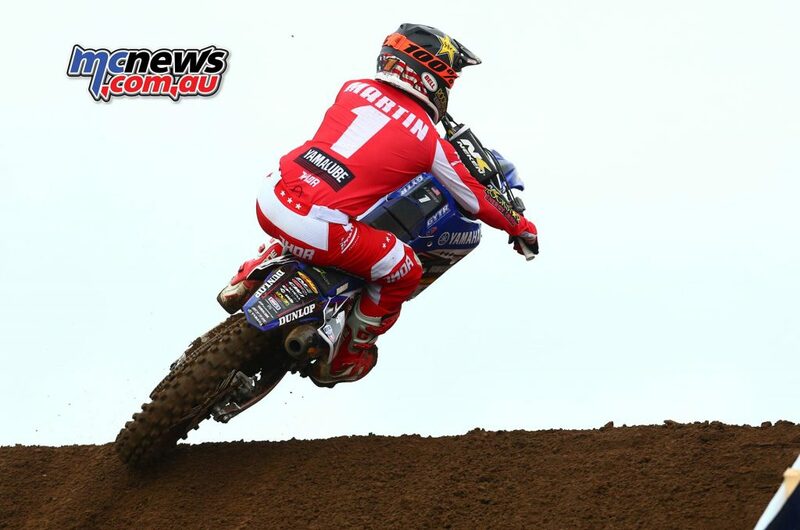 Kirk Gibbs – The old saying suggests that championships aren’t won on the easiest days, but on the hardest days, and defending MX Nationals Champion Kirk Gibbs made the best of a hard day when he left Nowra with yet another podium finish, and still in possession of the coveted red plate. Series points leader Kirk Gibbs was unable to finish the morning’s qualifying session and was assisted by Racesafe staff to continue racing but it was an eventful GoPro Superpole with Ferris pushing hard to end up with the fastest time ahead of Dylan Long and Kade Mosig. 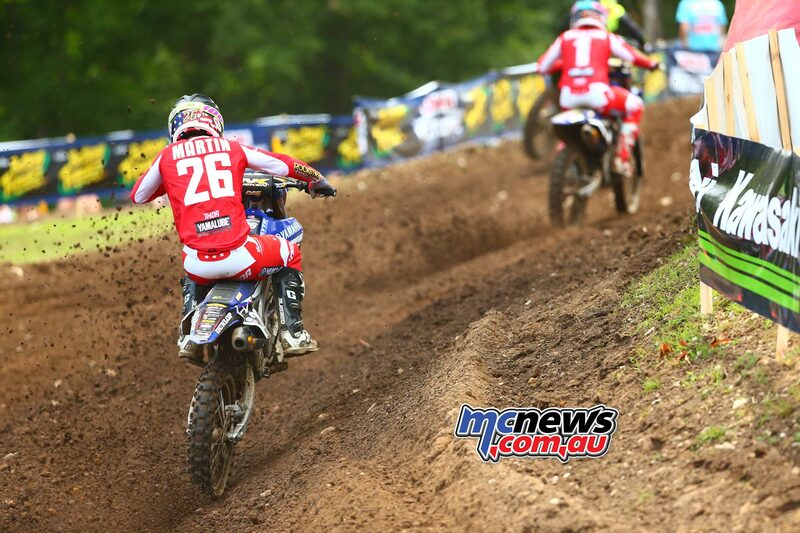 Matt Moss came to Nowra with a point to prove and the multi Australian Champion almost pulled off the perfect weekend after winning the opening moto easily over Ferris and Mosig and in the second moto it was looking like another Moss victory until a small tip over handed the moto win and overall to Ferris. Gibbs suffered a knee injury on the very first lap of qualifying and was unable to complete the session and despite being handed the final gate pick for each moto the championship leader went 4-3 for third outright and now hold a 15 point lead over Ferris in the championship. Todd Waters – Waters, who kick started the round with an impressive fourth place finish in GoPro Superpole, suffered a case of bad luck when race one got underway. After occupying third position for the majority of the 30-minute moto in the talent packed Thor MX1 class, Waters was forced to drop back to fifth after his chain came off on the second last lap. In race two, Waters improved on his results, battling with the lead pack before finishing in a hard fought fourth place. With a 5th in moto one, and 4th in moto two, Waters finished in 5th overall for the round, and now sits in third overall in the Thor MX1 championship standings. Despite having to use Racesafe to get him to the Dylan Long came home in 6th overall with solid 8-5 results while Jacob Wright (7-7) and Corey James (9-8) finished in front of Craig Anderson who came out of retirement with the help of Honda and scored 10-9 moto finishes for ninth outright on the day which is nothing short of amazing for a rider who won his last national championship a decade ago and won his last national round in 2008. Well done Ando! Despite still struggling from a wrist injury Jay Wilson was looking solid with a 6th place finish in the opening moto but a DNF in the second moto put pay to a good day at the track but Dan Reardon didn’t make it to the finish line in the opening moto after severely damaging his ACL and looks like he will be out for the season. Despite still recovering from wrist surgery, in race one Jay Wilson got to a solid start, which saw the 21-year-old race to a season best 6th place. 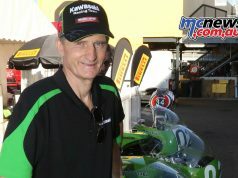 However, in race two, the demanding Nowra track proved too much for his injury to handle, which resulted in Wilson pulling in early, unfortunately unable to finish the race. Jake Moss secured the fastest lap time in qualifying ahead of Nathan Crawford and Wilson Todd but when it was all said and done Caleb Ward won the opening moto from championship leader Nathan Crawford, Jed Beaton and Jayden Rykers and in the second moto Ward worked hard to get by Wilson Todd who ended the moto in second ahead of Beaton, Rykers and Crawford so with five rounds remaining Crawford leads the points by nine points ahead of Ward who in turn has a two point gap over Beaton. “It was a really good day for me today. 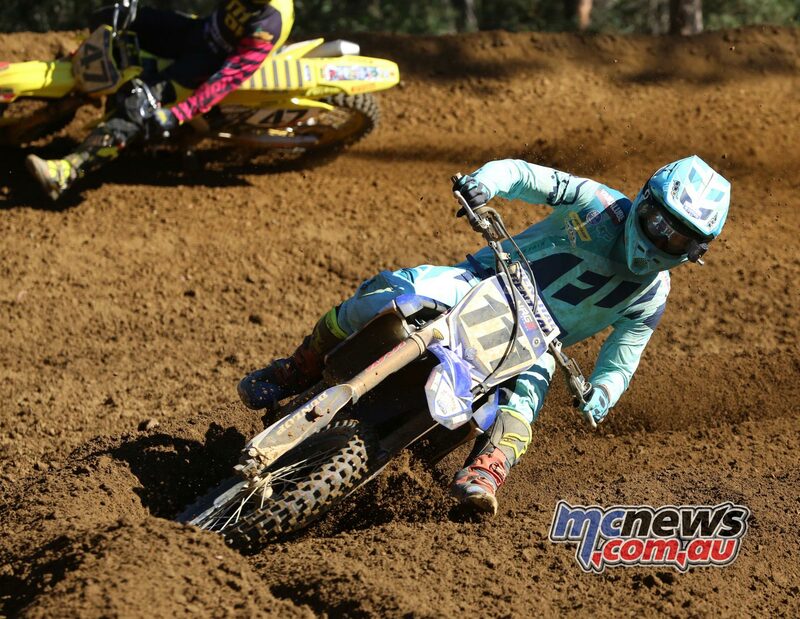 I had a bit of a tough round at Nowra last year, and the goal was to come and fix everything I did wrong last time, and I think we’ve done that,” Caleb Ward said. 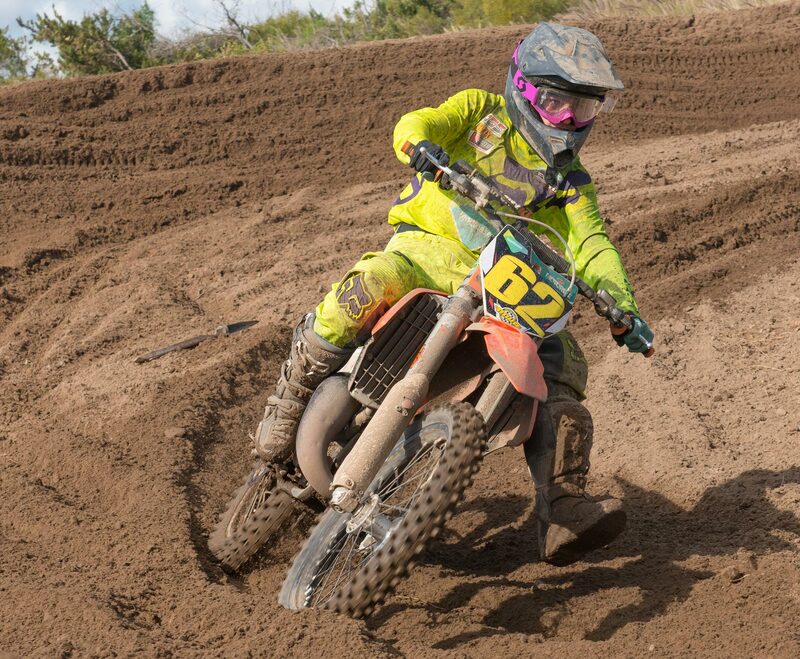 “I’m just trying to do everything I can to get that red plate back. I had a really good mid-season break and to go 1-1 today and make up some good points in the championship is awesome. 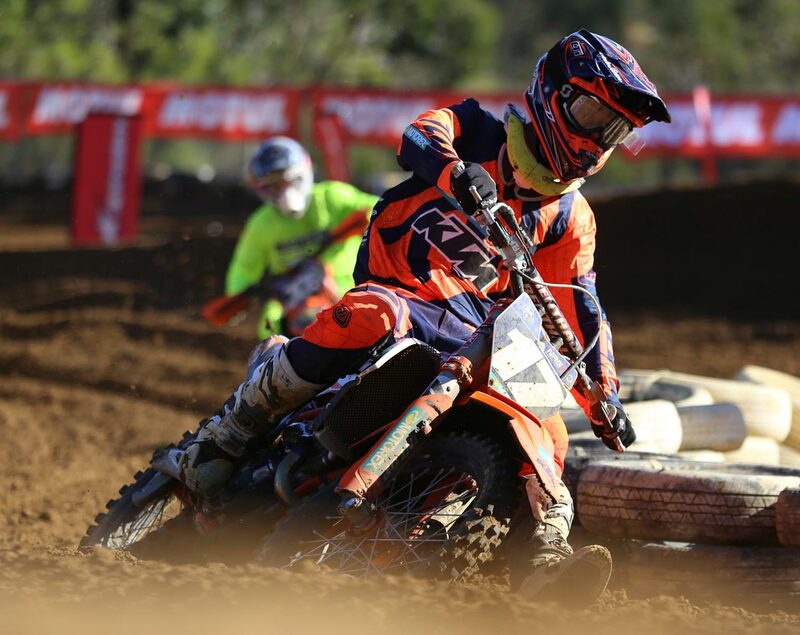 Caleb Ward – KTM Motocross Racing Team rider Caleb Ward was in devastating form, winning both motos and moving one place closer to the lead of the MX2 championship. 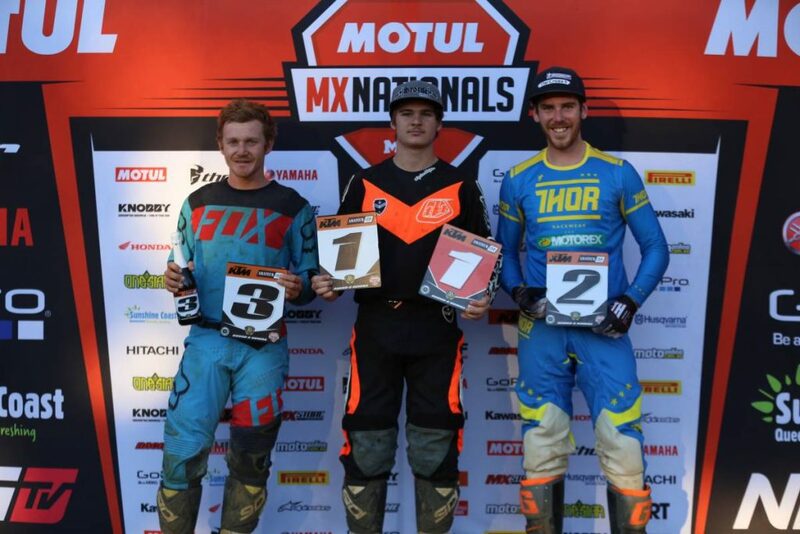 The KTM 250 SX-F rider led home Jed Beaton and Nathan Crawford to leave Nowra just nine points behind championship leader Crawford. Jayden Rykers – MX2 rookie and Davey Motorsports rider Jayden Rykers was also an absolute standout on the day, recovering from a disastrous start in the first moto, and one that was just average in the second, to fire his KTM 250 SX into two fourth places on the day, maintaining fourth place in his first ever MX2 championship. 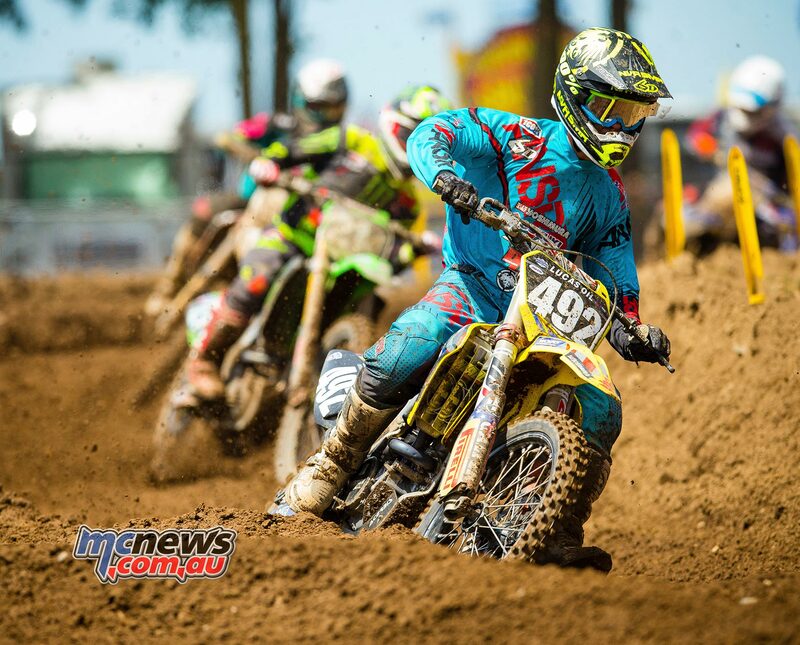 Dunlop-equipped motocross racers scorched to the top of the 2016 MX Nationals podium in both the MX1 and MX2 classes at the tight, technical Nowra circuit. Despite a dominating performance from Husqvarna pilot Mathias Bellino at the World Enduro Championship round in Spain, Matt Phillips looks on course for the EnduroGP and E2 World Championship double with two rounds remaining. 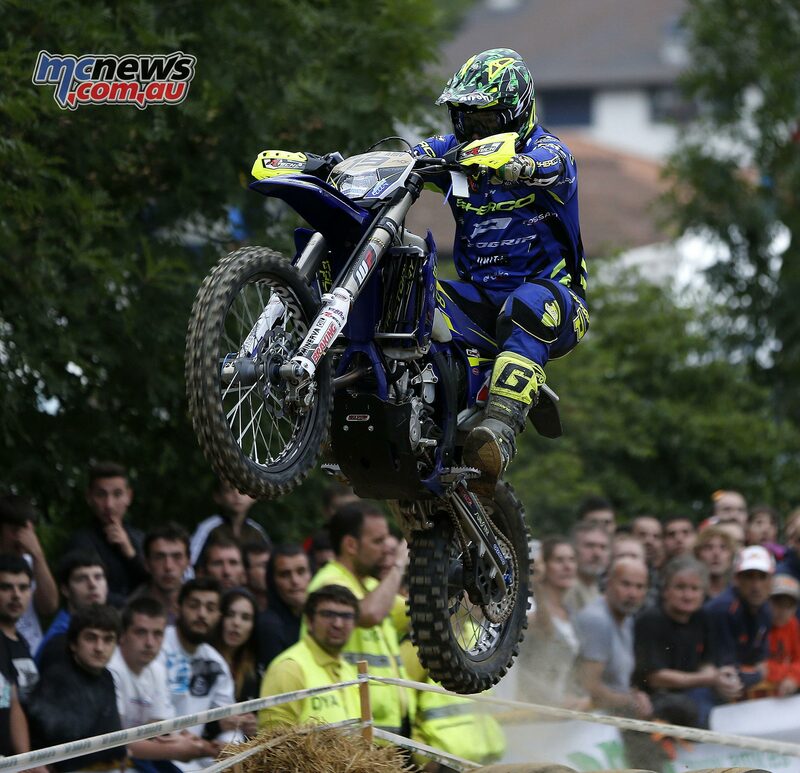 Bellino won the Enduro GP on day one over Alex Salvini (Beta), Manuel Monni (TM), Nathan Watson (KTM) and championship leader Phillips (Sherco) then on day two Bellino again took the outright win but this time is was ahead of Loic Larrieu (Yamaha), Watson, Salvini and Phillips. 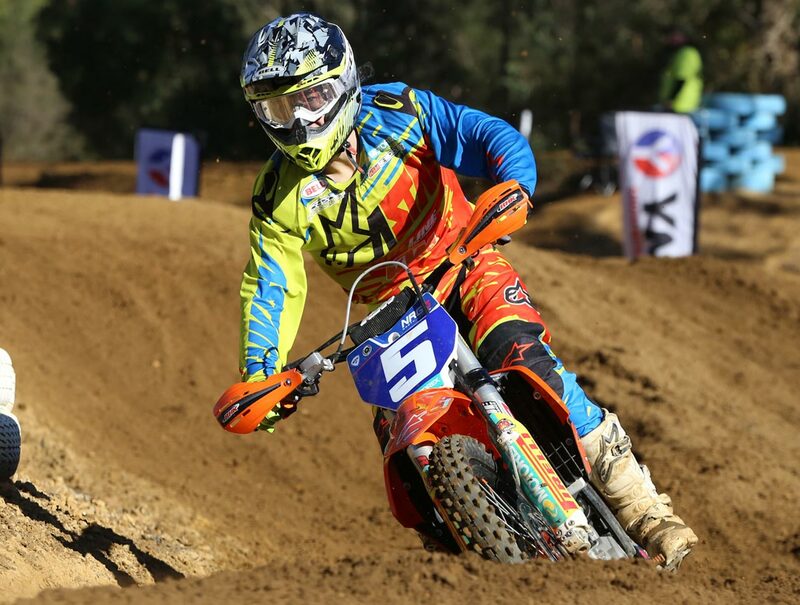 Interestingly, Sherco with Phillips at the helm leads the EnduroGP and E2 class, TM mounted Eero Remes leads the E1 championship while Beta factory rider Steve Holcombe leads the E3 class – it has been a long time since a KTM or Husqvarna rider hasn’t led any of the championships. KTM’s Tye Simmonds has sensationally won the Hattah Desert Race after going toe-to-toe with his teammate Daniel Sanders who ended the four hour race just 12 seconds behind Simmonds and 11 minutes in front of third placed Beau Ralston on his Yamaha. 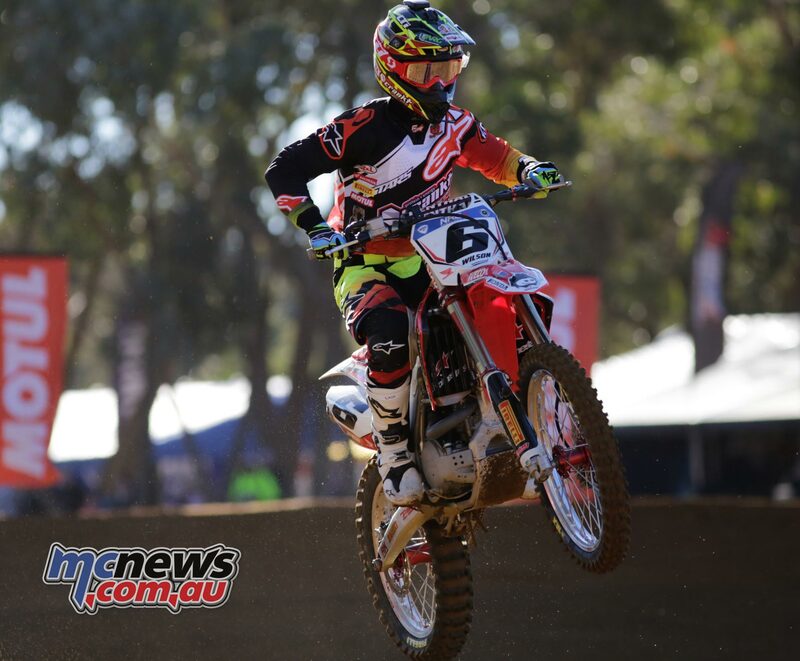 Ralston’s third place outright result was enough to see him hold down the win in the up to 450cc Four-Stroke class ahead of Penrite Honda’s Peter Boyle, with Cairns Coconut Resort Honda Racing Team’s Jacob Smith rounding out the podium. 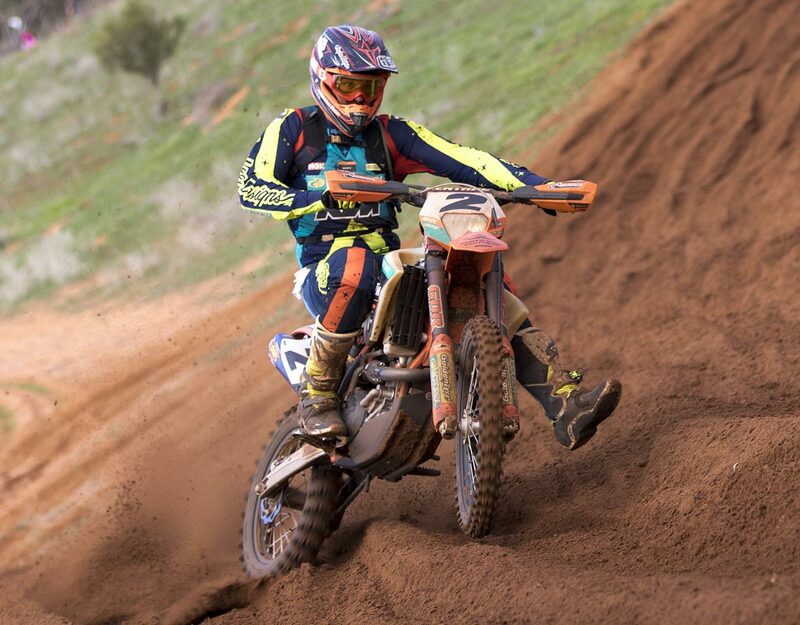 With the outright 1-2 under their belts, Simmonds and Sanders also took line honours in the over 450cc class with Husqvarna Australia’s Glenn Kearney coming home in a solid third place. 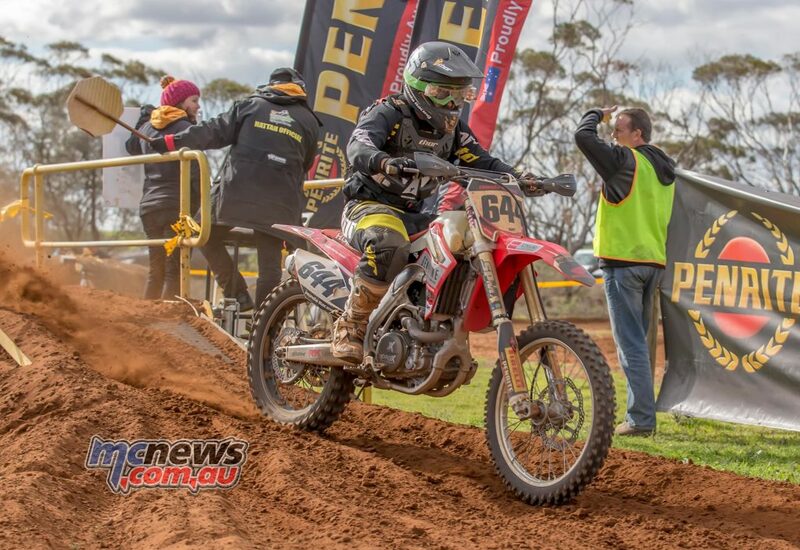 In the over 250cc Two stroke class, Husqvarna mounted Lyndon Snodgrass raced to an impressive victory ahead of Jesse Lawton and Justin Beard, while Motul Pirelli Sherco Racings Wil Ruprecht claimed the win in the Under 19s class ahead of Nic Tomlinson and Ben Kerns. 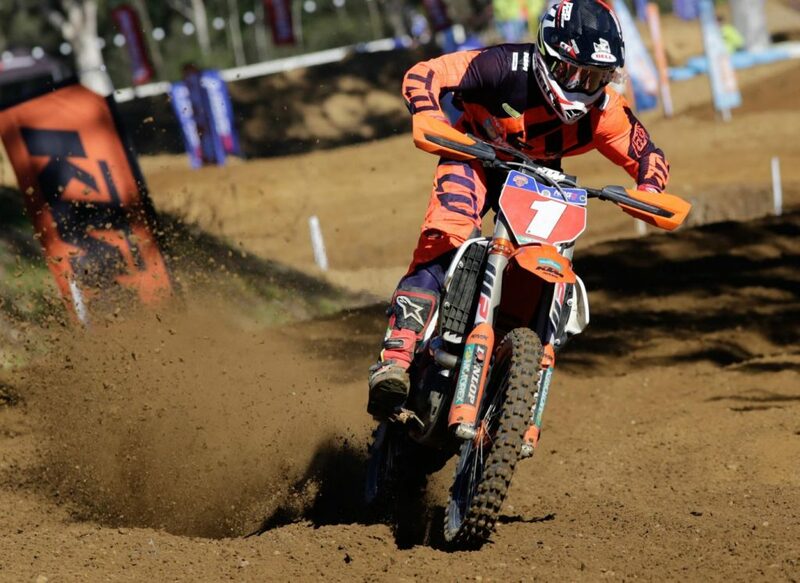 KTM Australia backed Jack Simpson continued his great debut season in the Off-Road ranks taking the class win in the up-to 250 Four-Stroke class on his way to finishing 10th outright. Mark Grove cross the line in second position while Riley Graham who raced the opening two laps with no front brake after damaging his lever and master cylinder in the opening lap fought back late in the race to take the final step on the rostrum and it was Josh Murtagh who won the up-to 250cc Two-Stroke class ahead of Cody Ryan and Tom Kite. In the battle of the older riders it was none other than Yarrive Konsky who came out on top in the Vets 35-44yr class ahead of Frank Corran and Darren Lessio and in the 45yr and above Masters Class it was Mike Reefman who took full advantage of his start at the front of the field to record a a big win ahead of Lou Stylianou and James Graham. In the Ladies class Danielle Foot gave KTM another reason to celebrate, winning by just under 20 minutes ahead of Tagan Hall in second place with Morgan Wright in third. 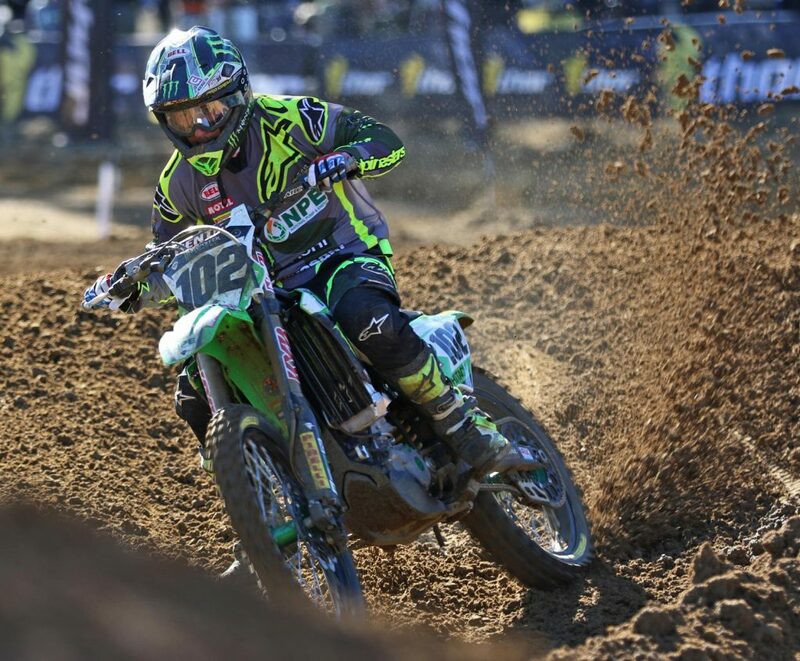 Tommy Searle has won the MX1 class at the fifth round of the Maxxis British Motocross Championships with 2-1 results while second overall was Jake Nicholls with 1-3 and third Shaun Simpson with 3-2 and in the MX2 class young Adam Sterry took out the overall after swapping moto wins and second places with Martin Barr while Bryan Mackenzie rounded out the podium. MX1 Overall: 1. 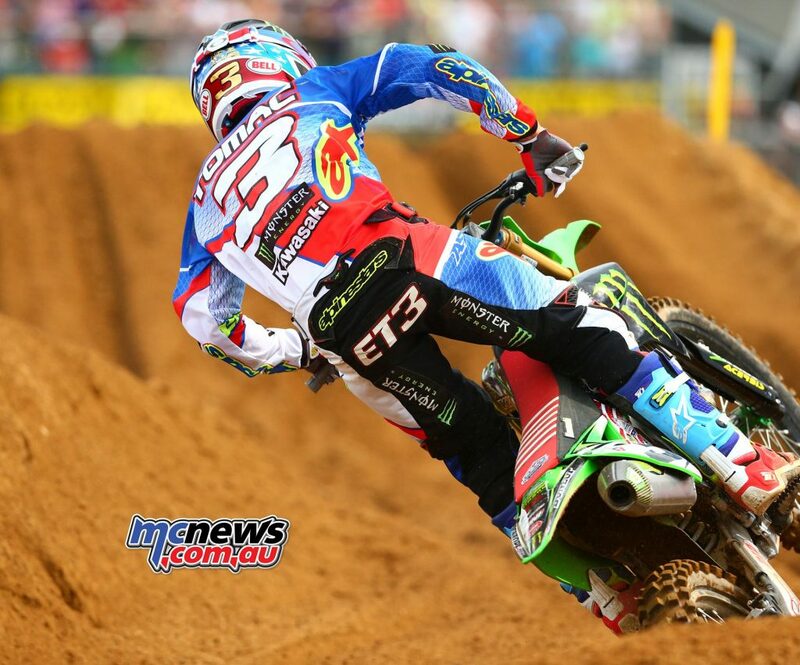 Tommy Searle 2-1. 2. Jake Nicholls 1-3. 3. Shaun Simpson 3-2. 4. Graeme Irwin 18-18. 5. Tanel Leok 6-5. 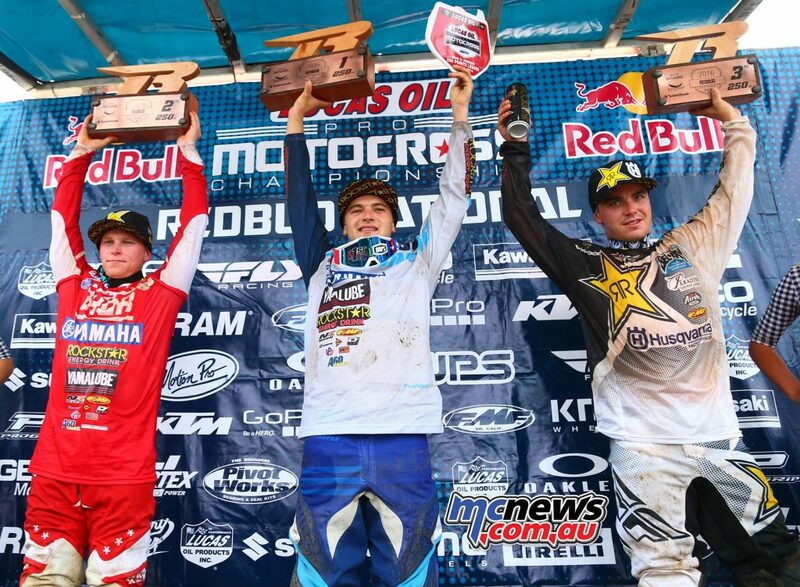 MX2 Overall: 1. Adam Sterry 2-1. 2. Martin Barr 1-2. 3. Bryan MacKenzie 3-3. 4. Steven Clarke 6-4. 5. Liam Knight 4-7. The KTM pairing of Glen Coldenhoff and Jeffrey Herlings have won the MX1 and MX2 classes respectively at round four of the Dutch Masters of Motocross held in Emmen last weekend. Coldenhoff shared moto wins with Russian Evgeny Bobryshev with Ceriel Klein Kromhof while Herlings won the opening moto over Davy Pootjes and Max Anstie with the second moto again going to Herlings over Anstie and Potjes. Interestingly 15 year old Jorge Prado who scored 4-7 results at Emmen is tipped to replace Herlings at the Red Bull KTM MX2 team in 2017. MX1 Moto 1: 1. Evgeny Bobryshev. 2. Glenn Coldenhoff. 3. Ceriel Klein Kromhof. 4. Kevin Wouts. 5. Jens Getteman. 6. Rick Satink. 7. Micha-Boy de Waal. 8. Tom Macuks. 9. Jose Butron. 10. Dietger Damiaens. MX1 Moto 2: 1. Glenn Coldenhoff. 2. Evgeny Bobryshev. 3. Ceriel Klein Kromhof. 4. Jens Getteman. 5. Kevin Wouts. 6. Rick Satink. 7. Jose Butron. 8. Micha-Boy de Waal. 9. Jeffrey Dewulf. 10. Dietger Damiaens. MX2 Moto 1: 1. Jeffrey Herlings. 2. Davy Pootjes. 3. Max Anstie. 4. Jorge Prado. 5. Brian Bogers. 6. Lars van Berkel. 7. Sven van der Mierden. 8. Roy van Heugten. 9. Eric Leijtens. 10. Ruben Fernandez. MX2 Moto 2: 1. Jeffrey Herlings. 2. 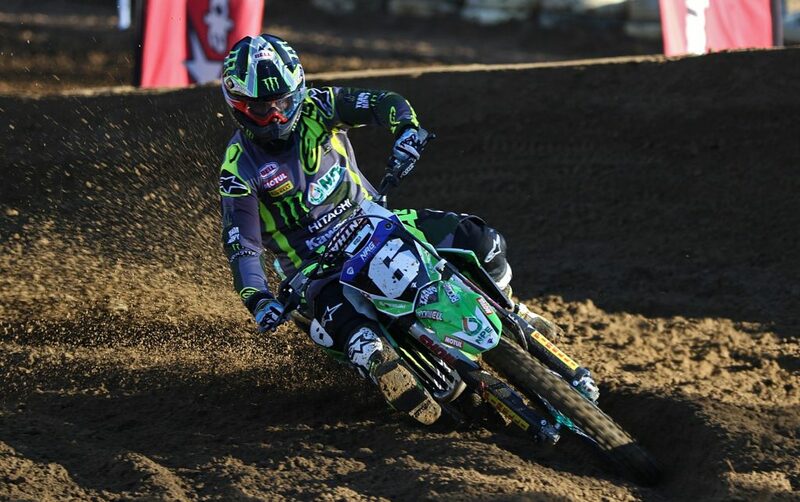 Max Anstie. 3. Davy Pootjes. 4. Brian Bogers. 5. Thomas Covington. 6. Lars van Berkel. 7. 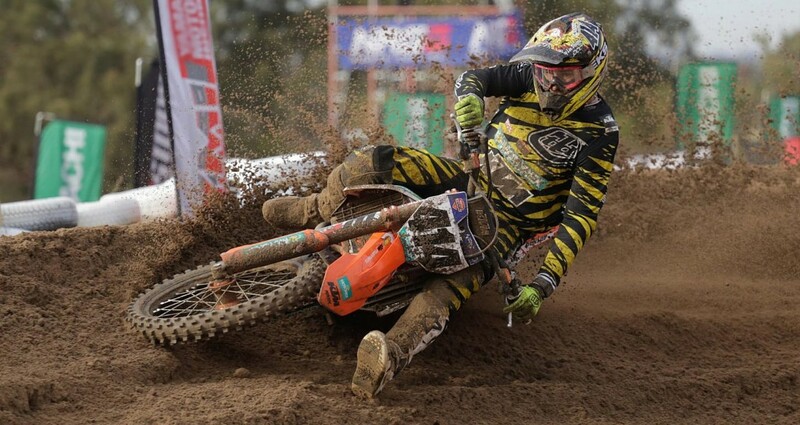 Jorge Prado. 8. Sven van der Mierden. 9. 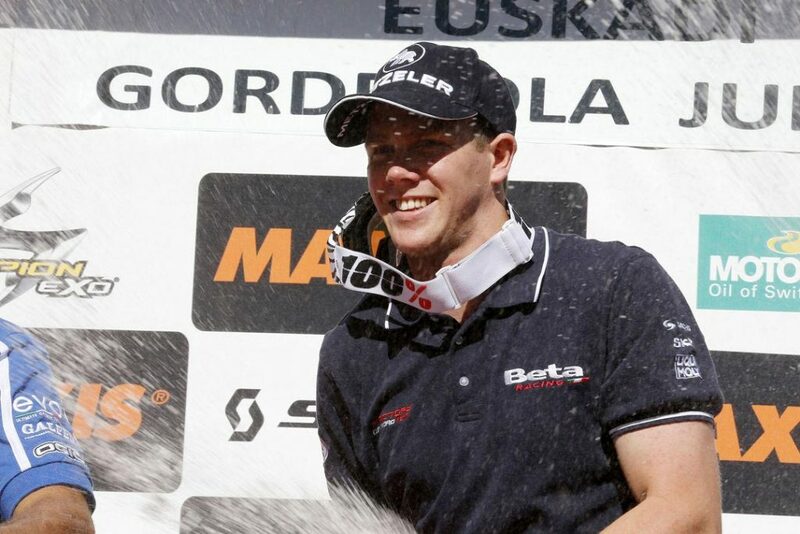 Karlis Sabulis. 10. Roy van Heugten.